YZ is an Anglo-Guadeloupean artist engaged in a search of Guadeloupean and African diasporic roots have taken her to Senegal. This path led her to Senegal where she currently lives and work. In her latest project, YZ pays tribute to West African women warriors who fought invaders and persecutors in the 19th century. 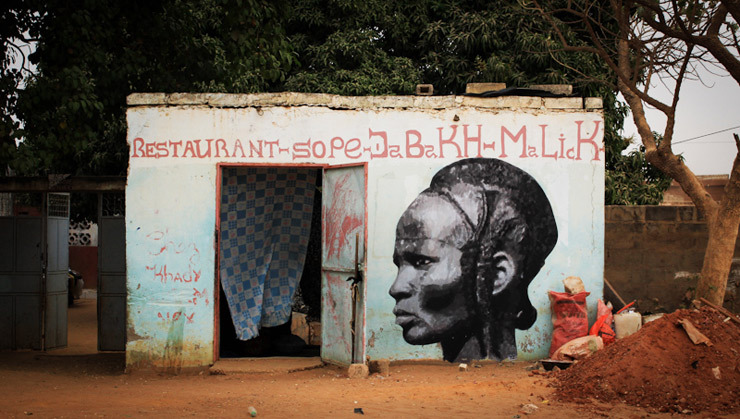 The images of the warriors have been painted in walls across Dakar creating a juxtaposition between these heroic avatars and Senegalese women daily lives today. She has talked about this project with Street Art Paris.